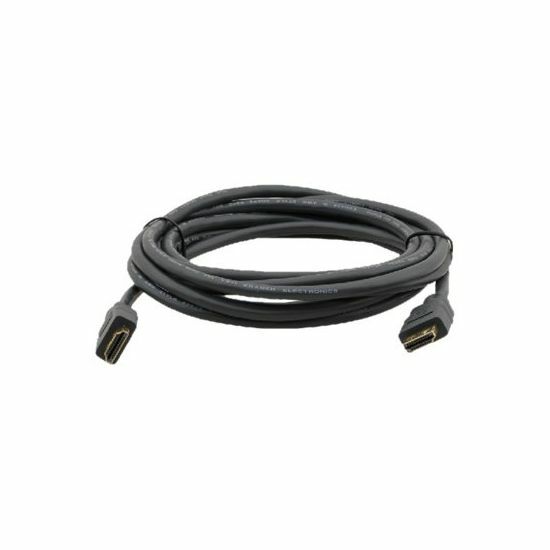 Kramer's C-MHM/MHM is a flexible high-speed HDMI cable with Ethernet. 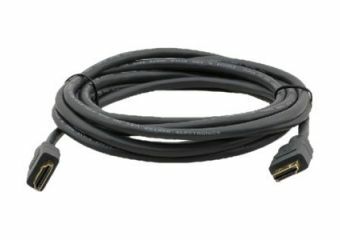 It is a high-performance cable with molded HDMI connectors at both ends that supports signals up to 1920 x 1200 at 60 Hz and HDMI Ethernet channel, 12-bit deep color, x. v. Color, lip sync, HDMI uncompressed audio channels, Dolby TrueHD, DTS-HD, CEC. The K-lock pull-resistant connectors can provide 15 lbs of restraining force for a non-slip connection.